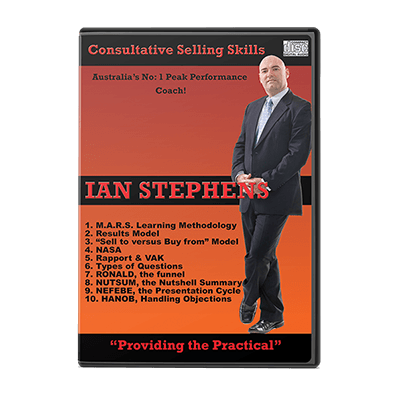 50 minute selling skills training CD. 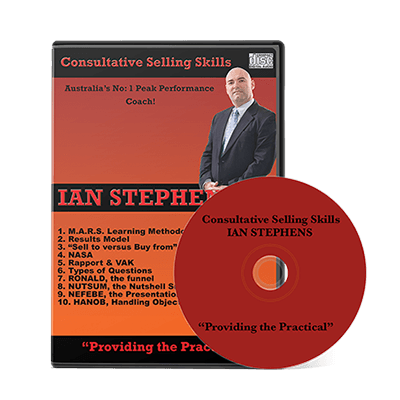 An audio summary of the Consultative Selling Skills program delivered by Ian Stephens. 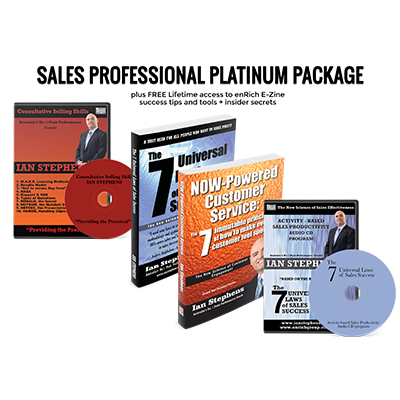 It logically introduces a four step process to sell with total integrity, then introduces various tools and tips to assist you along the way. To reconnect participants who have attended the Consultative Selling Skills program to the content of the selling skills training. 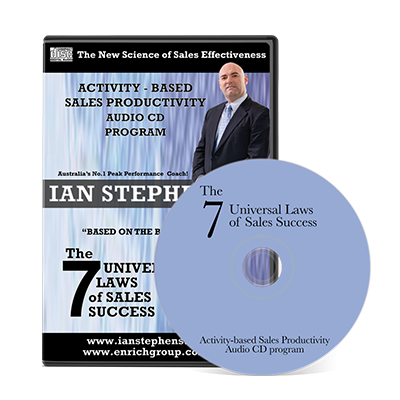 Ensure the investment in the selling skills training program is maximised by equipping people with a CD summary they can use easily in the car in between sales calls. 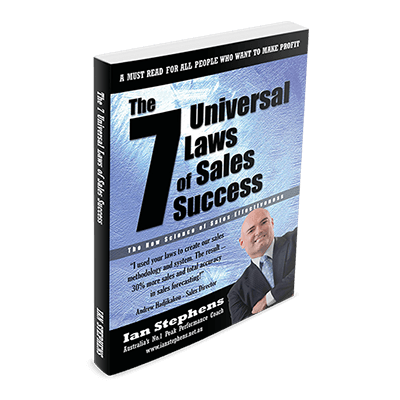 This selling skills training audio CD will help listeners develop a conversational style of interaction with customers allowing them to establish high levels of rapport and trust to the point where their recommendations are not only accepted, they’re implemented. It will help them achieve improved new business and repeat sales, and maximise the return on their selling time.